This is a small tutorial is based on the following news article. How a Chinese Student Avoids Censorship With the Ethereum Blockchain It is fascinating how the Ethereum Blockchain helped her spread her message to the world without being censored by the Chinese government. That is why I want to show you how you can do it. There are many people in the world that face some sort of censorship and this is an easy way to share messages that can not be altered. 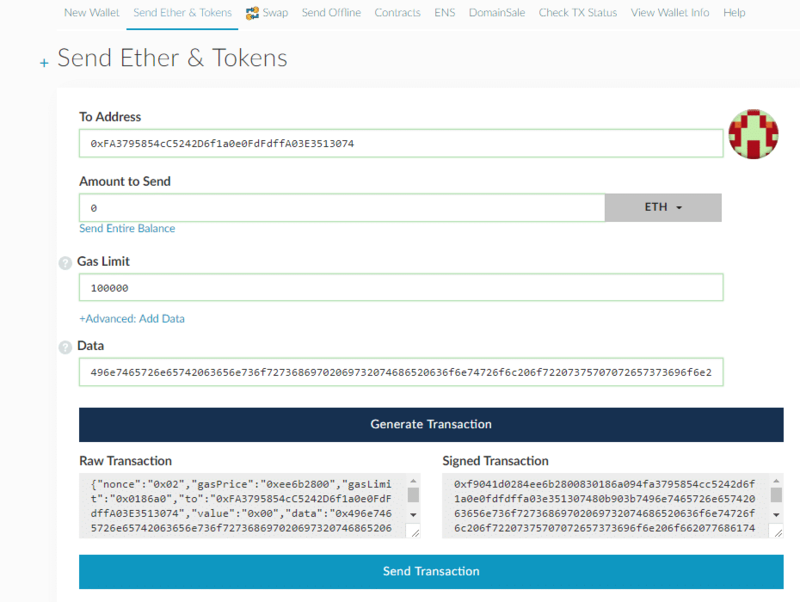 The video below will teach you how to store hex values in the data input of Ethereum transaction. 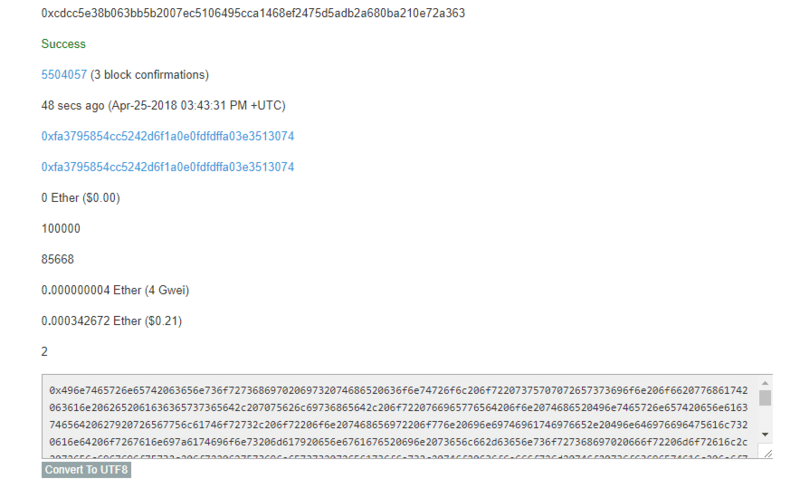 It will take a few minutes for the transaction to be seen in the next block and confirmed. Hope you learnt something useful. If this helps someone spread the word about a topic close to their heart without fear of censorship then that is a great first step to a decentralized society. 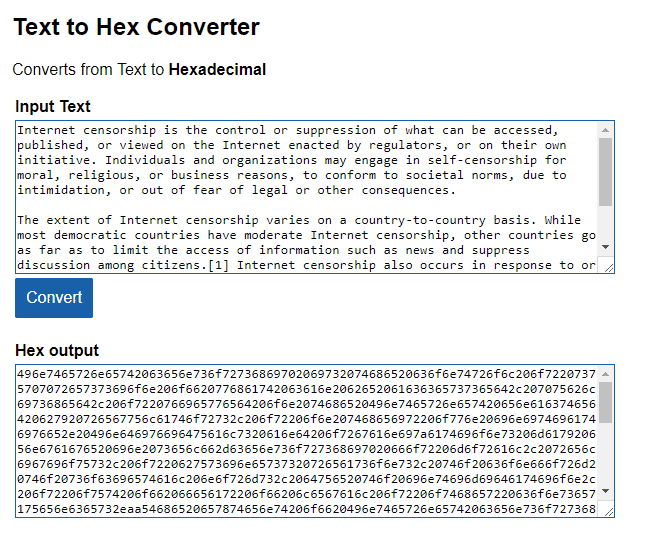 Hey can u plz help in converting my text essay into hex number. A link would be helpful. Just paste your text essay into the input field and then click on convert.